Nothing beats the combination of delicious food and drink, especially around the holidays! 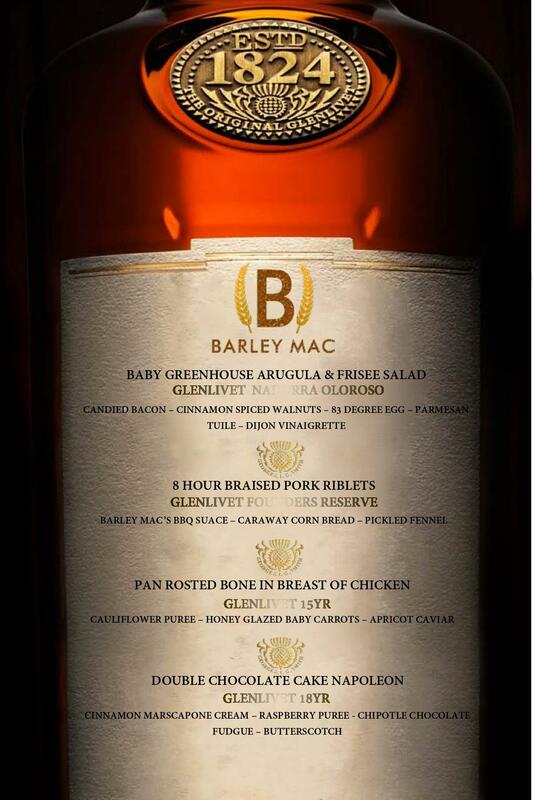 Enjoy both at Barley Mac on December 18th as we host a Glenlivet Scotch dinner to get all in the spirit of the season. We will have a Scotch expert in-house teaching attendees the finer points of the drink throughout the evening. Guests can also expect yummy food to pair and complimentary giveaways as well! Those interested in attending need to act fast – we only have 25 tickets available and we expect them to go quickly! For more information, call us at 571-800-3070 today.